4WayGlide System consists of two parts; a Nylon Sheet that is fixed to the mattress and a Glide Mattress that lies on top.4WayGlide Mini is a short (100 cm) in-bed system suitable for users with slightly reduced mobility, for instance in the pelvic area. The system facilitates independent or assisted movement. The non slip material along the sides of the nylonsheets minimises the risk of the user sliding out of bed. 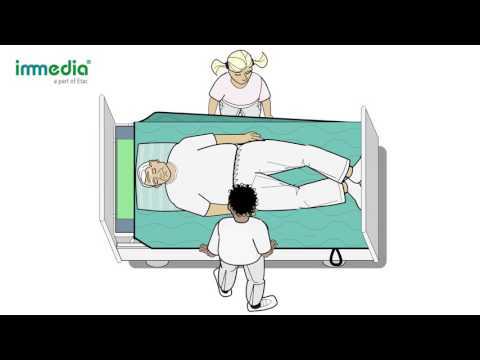 Immedia 4WayGlide is a in-bed system that can be used for turning, whether independent or assisted. 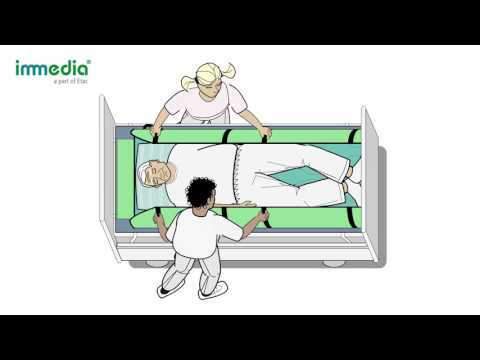 It enables positioning, moving higher up in bed and can also be used with a hoist.